The essential guide to the top twenty greatest books in philosophy for those who have just never quite found the time to read them. In this witty and engaging book, James Garvey offers an introductory account of the must-read books from the whole history of philosophical writing. From Plato to Popper, Descartes to Wittgenstein, the greatest books in philosophy have had a huge impact on the development of contemporary society, politics, economics and culture. This entertaining and intelligent guide introduces the philosophical questions central to these books that are of genuine interest to the general reader and opens up often complex and challenging ideas for wider debate. This is the ideal book for those coming to philosophy for the first time. 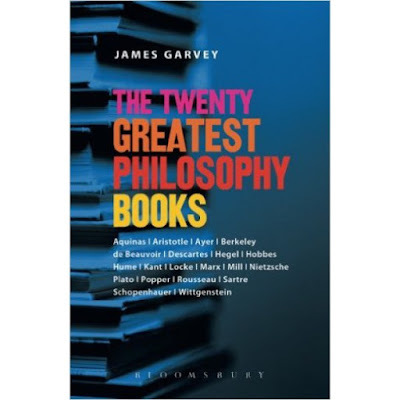 Garvey introduces the key themes and terms in philosophy before exploring each of the twenty great philosophy books with humour and clarity. The book presupposes no background in philosophy and encourages the reader to actively engage in philosophical thinking. The Twenty Greatest Philosophy Books is the essential guide for anyone with an interest in this fascinating subject.